Like the internet, cosplay is a pastime that was once considered nerdy but has long since gone mainstream. Olivia Munn, Kristen Belle, Olivia Wilde, Adrianne Curry, and even Kim Kardashian have been spotted cosplaying. Some male cosplayers, like Justin Acharacter and Jeff Siegert, have even achieved celebrity through cosplay alone! The widespread appeal of cosplay is easy to understand. Just as video games allow us to virtually inhabit a different character’s body, cosplay lets us morph into our favorite superheroes and supervillains. Cosplay is dress up for grown ups! When you’re in costume, you aren’t constrained by the rules of your own life, or even of science. Within the world of cosplay, you can costume yourself as your favorite superhero and gain the ability to defy gravity! Theres’ a cosplay character and costume for everyone and every taste. That’s why everyone should have Supanova, a pop culture expo where cosplayers of all persuasions come to free their alter-egos, on their bucket list. Whether you’re a girly girl, a man’s man, a fashion fiend, or an athlete, there’s a character for you! Want to save the day in a snazzy one-piece and cool boots? Morph into Batgirl! 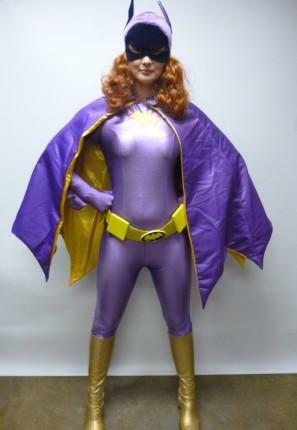 Key to pulling off this costume is finding a shiny bodysuit and not forgetting high gold boots. This one is a great choice if you’re cosplaying on a cold day or if you’re heading to tumbling practice afterwards. If your partner or male friend is coming along, make it a fun couple’s look and have him dress up as Batman. Together, the streets of your neighborhood will be safe from terror! If your special friend hasn’t been frequenting the gym much lately, never fear! A superhero’s well-muscled physique can easily be imitated with inflatable muscles that don’t require protein shakes and long hours at the gym to sculpt. Your man can go from average to jacked in just as much time as it takes to put on a suit! Maybe superheroes aren’t your thing. Maybe you prefer to be a classic coquette. Become Betty Boop for the afternoon and make all the men swoon! If nothing else, it’s an opportunity to wear cute black heels, a short red dress, and a garter. Attitude is a huge part of cosplay, of course, since it’s assuming a character. Betty Boop is the perfect character if you want to drop your usual persona and misbehave for the afternoon! Cosplay is a wonderful family activity, too. Children love dress-up and playing pretend, so they’re the true cosplay masters! Choose a theme for your family unit and go together as a group to make a lovely family bonding activity of it. Disney characters are well suited to this! 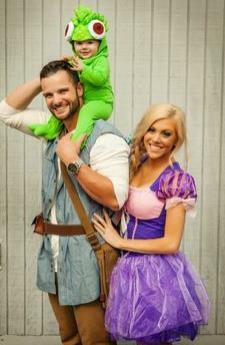 Depending on the size of your family, you can dress up as the main characters of a Disney princess movie, with mom and dad playing the beautiful princess and her prince charming, or as the cast of cars, the Incredibles family, or any other Disney groups that you like. The family that cosplays together stays together! Cosplay options are truly endless and, no matter what your passion is and your interests are, there is a costume out there for you. There are only two cardinal rules to follow when you cosplay. First, have fun! Second, don’t forget the accessories.